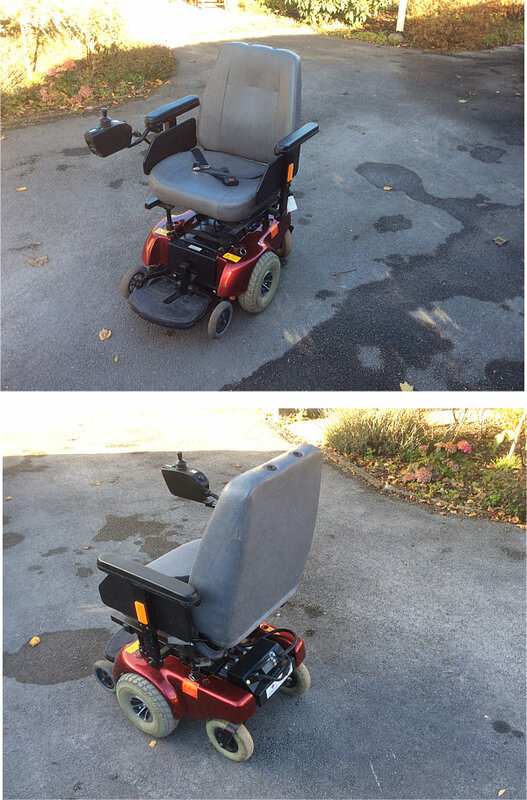 “Jazzy” powered wheelchair for sale. Declined by two mothers aged 80+ who were both adamant that wheelchairs are only for old people! Hence minimal usage. Intended for inside/outside use, the latter perhaps most realistic. Rotates within its own length. Hinged ramp, 70+ cm wide when opened. Call 07860 521832 for more info or to view (Silsden).